Earn airline miles shopping at Waitrose! Last year American Express finally partnered with Aldi. It seems that Lidl did not want to be left out, and American Express has now agreed a deal with the German chain. Amex is now live in all UK Lidl stores. Meanwhile, a ‘£5 off £20 spend at Lidl’ cashback deal has appeared on a lot of cards overnight. You will need to save the offer to your card to take advantage – take a look at your online statement page. Our main article today includes ways of topping up your Virgin Flying Club account. One of these ways is earning miles at Waitrose. I realised that we haven’t actually mentioned this partnership for almost two years, and it is possible that a lot of Head for Points readers don’t know about. Via a deal with Virgin Atlantic, you will earn miles in Virgin Flying Club for every £1 you spend in-store at Waitrose. The earning rate varies by account, and seems to change based on how much you spend at Waitrose and how your spending pattern fluctuates. For £20+, you need to log in to your Virgin Flying Club account and check. I am currently earning 3 Flying Club miles per £1 until 26th April. This is, for £20+ purchases, more miles than I would earn at Tesco via Clubcard (1 Clubcard point per £1 which converts to 2.4 Avios or 2.5 Virgin Flying Club miles). This would also allow John Lewis shoppers to buy Waitrose / John Lewis gift cards in Waitrose and collect the extra miles. This offer is part of the Virgin Atlantic in-store shopping scheme. To sign up, you need to visit this page of the Virgin website and register your credit cards. 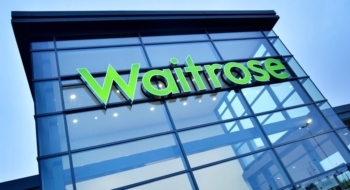 Make sure you register your partners cards as well if they are also likely to visit Waitrose. If you don’t already have a Virgin Flying Club account, you may want to sign up purely to take advantage of this deal. At the very worse, you can redeem 12,500 miles for a £50 voucher valid at many Virgin Group companies or for Theatre Tokens. It is also worth remembering that you can transfer Virgin Flying Club miles into Hilton Honors points (at 2:3) and IHG Rewards Club points (at 1:1) with a minimum transfer of 10,000 miles. Your link to the Virgin Atlantic in-store shopping scheme did not work. I logged on to the Virgin website, found 3 shopping partners then a few other partners but nothing related to Waitrose. Can you help please? Sorry…. the second link on which page? If you have logged in and registered cards then you don’t need to do anything else. Any spend at Waitrose on one of the registered cards will earn points. If you need to register a card(s) then click My Shopping at the top, then Instore Cards from the drop down menu. There is a ‘Register Card’ button on the subsequent page. I’ve a permanent 5% cashback (on purchases over £20) through my employers benefit scheme at Waitrose. I can layer that with the regular 5-10% cashback, through using my Halifax Account Card. A few days ago you were suggesting 0.42ppa via Tesco mobile was too high for you 🙂 But I get that this can work. Well, not for me – but I post for other people to see if it works for them. I made a note at the time, so to save BJ’s fingers (and because the pair of you have saved me a lot of time and effort over the years)…. Thanks Andy. @Shoestring @TGLoyalty, just to add, LadyLondon reported an issue with some Sims not having 20p credit on them. If you get them in store pick up the sims with rocketpack on front eith three circles showing data allowance for each top up value. I’ve use those every time with no problems. Is the Tesco website the only way to cancel the Rocket Pack auto renewal? 18 beers for £20. A one of / no subscription pack. It was a mse offer which supposedly sold out but I did it last week and it arrived in a couple of days. Top tip, thanks, Simon – 56p/beer is a pretty good price! Comment of the day, Simon. Thanks! If you add a single bottle / can or two to the order, it should take it over £24. You’re getting an even better deal then. OT: RFS – Apologies in advance, I checked the RFS article from 3/19 but I can’t see it mentioned in that or the comments. I want to book two RFS tickets. The second person is not in my Household Account. Do I need to bring them in (with complications of Avios being spent proportionally) or can I go down the Friends and Family route. When I tried a dummy booking the drop down only let me select members of my Household Account hence my assumption that there needs to be some BA Exec link between us to make this work. My intention is to pay for the tickets, not share the cost. Add them to the friends and family list and you’ll be able to book for them. You should be able to book for them fine if they’re on your F&F list. Any points will come out of your HHA pro-rata between all members. Any way I can convert my Virgin miles into Marriott points? Can’t you just tell them to stop scanning at the till when you hit each target? You can’t or the cashier doesn’t know how? Seems strange how do they do £10 cash and £10 card etc ? I have had this. They can do card and cash but not card and card. Happened so many times that I can believe its the terminal rather than knoelwdge. In terms of the two free lounge passes I got when I got my gold card, can I use these free ones for me and a guest. Or are the free passes for my use only? Traveling with a companion for the first time since getting the card and wanted to get us both in. You and a guest will work fine. You and a guest – at least, that is how it worked in the last two years. O/T- Is there a way to pay now on Hilton, trying to take advantage of the Amex Credit for a September stay but the cheapest (Honors Semj-Flex) or any other options appear to be book now, pay later. Interesting, didn’t know they do that for semiflex, I’d only tried it for prepay before (where they all vary how far in advance they charge the card). Use the advance discount rate, if you want the cheapest rate and are fully committed to the stay. However, Lady London’s suggestion is an interesting idea, as in theory you’d retain flexibility. I wonder though, how easy it would be to get a refund say ten months down the line, if exercising the right to cancel. I need a hotel in Edinburgh in August for the Edinburgh Tattoo and obviously everywhere is expensive including the Holiday Inn’s and Travelodge’s so Id rather pay a little more and stay in a Hilton especially if I can get £75 back which could make it cheaper than the hotels previously mentioned. Yes it does, as long as card charged. Works, done it myself. How is Amex meant to know?! Cheers guys, best get it booked, nice little treat instead of a Travelodge for a similar price. If just after Virgin points, that could be a total of 7 Virgin points per pound for Tesco shopping/purchases in store, plus a load of spend towards a voucher on the Virgin+ card. You could include fuel, but of course that would bring down the Clubcard earning rate. 50% isn’t it for fuel? Could purchase electronics and assorted nik naks in store, not just groceries and booze. I wonder if it’s possible to use them to purchase/convert to other company gift cards, picking up the Clubcard points on the purchase. So when I register my Virgin MC for Waitrose, do I get points from both the shop and the card spend? Yes the you will get both the in store miles for using a registered card and the spend miles on your card. OT: does anybody have experience of the Hilton Points Pooling feature? Do you happen to know how long the transfer usually takes? Thanks. About 5 days I think. Done it several times, very simple. Each account needs to be open over 90 days (or was it 30 days?). I have just transferred some to my sister and it was two days but YMMV. I have registered my cards but the only offers I can see are, spend £80 and get £20 back. I cant see anything about 1 mile per £1? ?